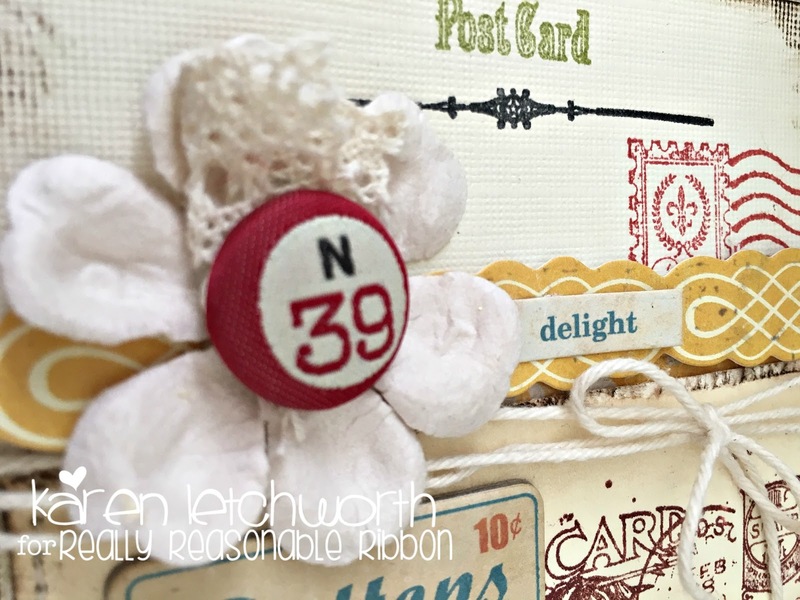 Hello, and thank you for stopping by the Really Reasonable Ribbon Blog today as I, Karen Letchworth, share a simple, but very sweet card I created using three FABULOUS products from Really Reasonable Ribbon. In my opinion, it's all the ribbons, trims and twines we use on our cards and projects that give them depth, texture, and personality. I really love how this turned out, and really love what my RRR trims add to it (and to every project). I carefully inked the edges of my ivory card stock base and attached all my patterned papers, sticker borders, etc., and machine stitched them into place. 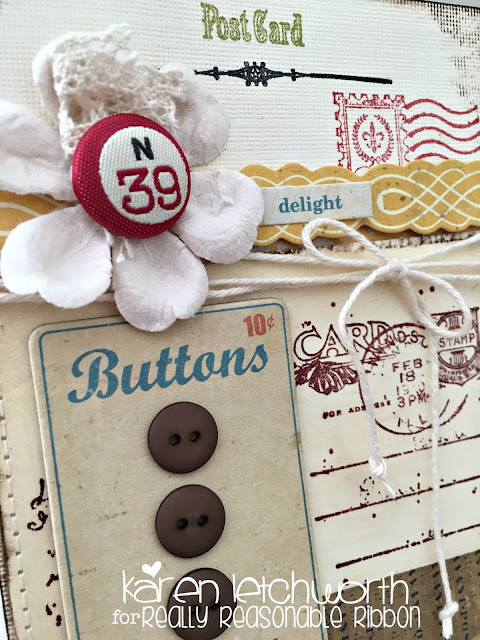 I did some hand stamping at the top, and once I had all my patterned papers in place, I ran a long length of Natural Solid Baker's Twine around my card three times, and tied it into a bow. I can't get enough of this GORGEOUS Natural Solid Baker's Twine - it's AWESOME!!! I added a paper flower at the top left of my card, and I tucked a snippet of Ivory Natural Crochet Lace underneath the brad I put in the center of my flower. I also used LOTS of fabulous Scor-Tape to hold this card together. I love using Scor-Tape to make my cards because I know that it will stand the test of time and keep my card together. It's an AMAZING Adhesive. I just LOVE it! I love how that piece of Natural Crochet Lace looks tucked into that flower. This is a great way to use up little scraps of lace you might have after making another project. 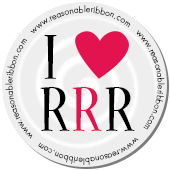 Really Reasonable Ribbon also has lots of great Mulberry Flowers that you can use to accent with a piece of Ivory Natural Crochet Lace or other trim. 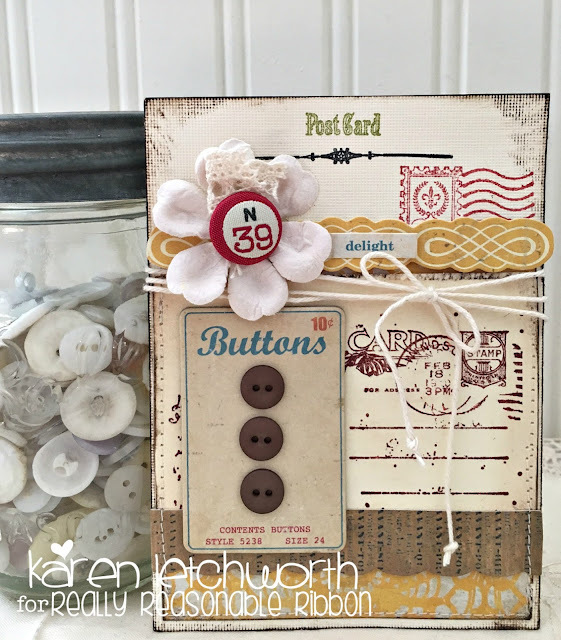 AND......don't forget about the fun challenge taking place now on the blog.